Stephen T. Redmon is a retired military lawyer, having served in the Army Judge Advocate General Corps for 20 years. Upon retirement from the military he was appointed as Special Assistant to the General Counsel of the Department of Veterans Affairs (VA) and recently retired from the VA. He is the CEO and Founder of Nomder Yoga (www.NomderYoga.com) and Nomder, LLC (www.NomderLLC.com). Stephen is a certified mediator who has integrated alternate dispute resolution (ADR) into his practice for over twenty years. He received the VA Secretary’s Excellence Award for exemplary national service in ADR. A native of Harlem, New York City, where he attended public schools and graduated from John F. Kennedy High School in the Bronx. Stephen earned his B.A. from Colgate University and served as a Peace Corps Volunteer in Sierra Leone, We st Africa. He earned his J.D. law degree at North Carolina Central University School of Law where he researched and developed the first-edition of the Rules of Court for the Cherokee Indian Tribal Court. Stephen earned a Masters of Laws (LL.M.) in Environmental Law at Pace University School of Law and an LL.M. in Military Law from the J.A.G. Legal Center at University of Virginia. Inspired by his commitment for national service and national security after the tragic events of September 11th, he completed his M.S. in Strategic Intelligence from National Intelligence University at the Defense Intelligence Agency (DIA) and taught graduate-level courses at DIA on the law of intelligence. Stephen believes in life-long learning and earned his Ph.D. inhuman and organizational systems at Fielding Graduate University. His dissertation research focused on entrepreneurship of service-disabled Veterans and their families. His research interests also include leadership, organizational development, therapeutic jurisprudence, military psychology, and alternate/creative dispute resolution. Stephen currently serves as a Visitor Advocate for the Smithsonian’s National Museum of African American History and Culture. During his military service Stephen served as a legal advisor for the 75th Ranger Regiment, 2nd Infantry Division, Space and Missile Defense Command, 19th Sustainment Command (Expeditionary-Korea), Criminal investigation Command – Computer Crime Investigative Unit, U.S. Military Academy, DoD Criminal Investigation Task Force, and taught Intelligence law at the Defense Intelligence Agency. Stephen served as a full time Professor at the U.S. Military Academy (West Point) where he taught Constitutional Law and Criminal Law. He also served as an adjunct professor at several colleges, including George Washington University, Virginia Commonwealth University, the Adler School of Professional Psychology, University of Maryland University College, and Northern Virginia Community College. He teaches ethics, homeland security, criminal justice, business law, leadership, team building, and entrepreneurship courses. He is a frequent guest speaker at national, regional, and local events and conferences. Stephen is committed to community service, lifelong learning, and holistic health. 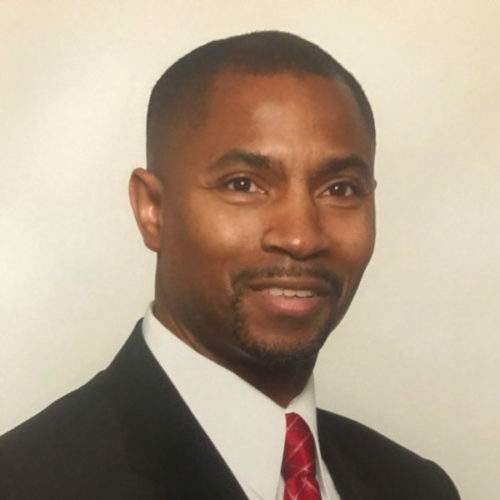 He currently serves in leadership positions in several community organizations, including non-profit organizations like Warriors at Ease that serve Veterans and their families with yoga and meditation to improve their holistic health and wellness. Finally, having been raised in segregated schools, and directly experienced segregated housing, movie theaters, and restaurants, Stephen has benefited directly from the efforts of the NAACP and fully supports the mission, efforts, and leadership of the NAACP.